The Washington Post reports on the exchange between Clinton and Swisher. SWISHER: We’re going to talk about 2020 in a minute. Do you want to run again? CLINTON: (slight pause) No. No. SWISHER: That was a pause. 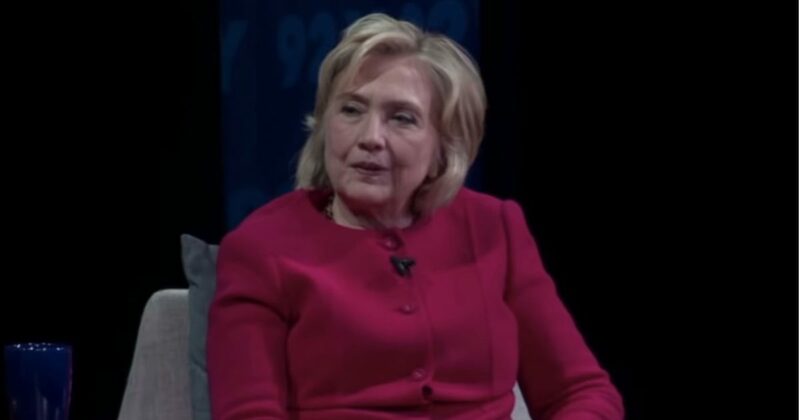 CLINTON: Well, I’d like to be president. I think, hopefully, when we have a Democrat in the Oval Office in January of 2021, there’s going to be so much work to be done. I mean we have confused everybody in the world, including ourselves. We have confused our friends and our enemies. They have no idea what the United States stands for, what we’re likely to do, what we think is important. So the work would be work that I feel very well prepared for having been at the Senate for eight years, having been a diplomat in the State Department, and it’s just going to be a lot of heavy lifting. This is not remotely what she said. When asked if she’d run she said “No” (twice in fact). Despite the denials, it appears Clinton is actively thinking about running for president. Clinton is working hard to remain in the news cycle to stay politically relevant and playing word games to keep the buzz going about her intentions.